Why is my special offer code not working? 1. Navigate to Sales > Special offers. Click Create promo code. 2. First, create a name for your code. This should be something which you can easily recognise. Then, enter the code (this is what will be used to access the private package). Please note that the code itself cannot contain any spaces. 3. You will need to enter a start and end date for the special offer code. After this, select if the code is active. Do not archive the code at this point if you wish it to be live. 4. Next, there will be a list of packages on the page. 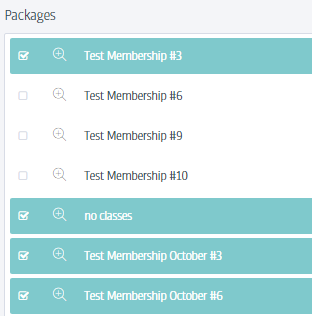 From this list, tick the box next to the package(s) which you want the code to be linked to. 5. Click Create promo code. This code will now be created and visible in the list on the Special offers page.